The Chief Executive of the Foundation for Jewish Heritage, Mr Michael Mail, explains the Foundation’s key actions, historic reasons for synagogues being at risk, and Jewish Heritage as a shared European Heritage. 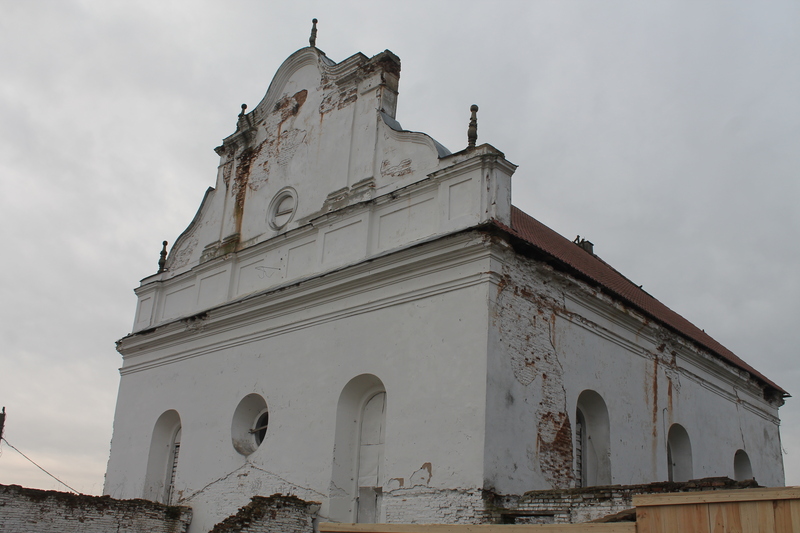 The Great Synagogue of Slonim in Belarus is a majestic baroque building that has stood overlooking the central market of the town since the 1640s, and yet today lies neglected and in decay. In 1939, the town had a population of 25,000 of which 17,000 were Jewish. Just 200 survived the 2nd World War and a Jewish community that had existed for centuries was extinguished in the most brutal of circumstances. Communism followed the War and the story of the Jewish community and the Holocaust was something that could not be spoken of. What remained as the only testament was the Great Synagogue, used to store furniture and then left empty and derelict for the last 19 years. 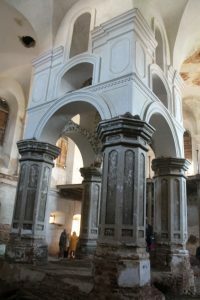 The Foundation for Jewish Heritage was recently established in the UK to work internationally on preserving Jewish heritage sites in danger such as the Great Synagogue of Slonim. One of the Foundation’s first acts was to commission research to map the historic synagogues of Europe, which identified 3,300 synagogue buildings in 48 countries right across Europe. There were 17,000 synagogues in 1939 and less than a quarter of the ones that exist today function as synagogues, with the rest either used for other purposes or abandoned. As part of this research, each synagogue was rated according to its significance and its condition in order to understand which were the most important buildings at risk. A list of 160 sites was so identified, from which a prioritised 19 were selected by the Foundation as a focus for its initial preservation efforts. How a synagogue loses its community of users may not be due to the Holocaust. 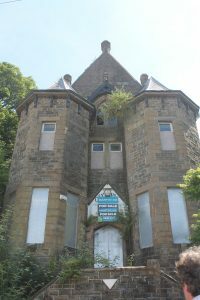 There are also communities that simply move on, as is the case with the two UK buildings highlighted in the top 19 – in Sunderland and Merthyr Tydfil, both Grade 2 listed. Merthyr Tydfil was an industrial powerhouse and Wales’s biggest town in the 19 century, and it had a thriving Jewish community that in 1876 built as its house of prayer an impressive gothic structure topped by a Welsh dragon. As Merthyr faced economic decline in the 20th century, so its Jewish community dwindled until the synagogue finally closed its doors in 1983. Today it lies empty and for sale, and the Foundation is spearheading efforts to save the building and bring it back into use. The vision being currently tested is that it become a Welsh Jewish Heritage Centre that would present the remarkable 250+ year old story of the Jewish community of Wales. Jewish heritage is shared heritage – it is national heritage, and it is European heritage. By saving these synagogue buildings at risk, we remember the variety of lives that were lived, and the contribution that different communities have made over the centuries. They can serve as profound places of education – from Slonim to Merthyr – presenting the past while providing important lessons for the present and future.